Digital marketing companies are beginning to realize the impact of peer-based opinions, such as referrals and advocacies, on sales. According to a Nielsen survey, "84 percent of consumers reported always or sometimes taking action based on personal recommendations, and 70 percent said they did the same of online consumer opinions." In fact, "64 percent of their survey respondents mostly or completely agree that word-of-mouth marketing is more effective than traditional marketing," according to "State of Word-of-Mouth Marketing," a survey taken by the Word-of Mouth Marketing Association (WOMMA) in late 2014.
customers to promote and advocate their products themselves. Conventional promotional marketing is a formula designed to accomplish four objectives: create awareness of the product, generate interest in the product, manufacture a desire for a product that leads to an action. The acronym for the methodology is AIDA. But top-tier marketers are also beginning to believe advocacy is an important component of the awareness, interest, desire and action sequence, and have redubbed the acronym AIDAA. However, even companies that understand the value of consumers who are product advocates often have a difficult time implementing advocacy in their digital marketing campaigns. Advocacy campaigns are nothing new outside of the digital marketing realm. Companies like Toyota, The North Face and Apple, for instance, have all found low-cost ways to raise product advocacy by using campaigns that increase consumers' brand identity. For example, in Central and South America, Toyota includes a simple rear window/bumper sticker that customers can choose to affix to their car. Printed on them is "el que tiene un Toyota sabes," which is translated into he who has a Toyota understands. This simple advocacy campaign makes every Toyota owner a product advocate and every vehicle a mobile marketing mechanism. Similarly, The North Face company has printed t-shirts with nothing but a large logo of the company for years. As a result, The North Face has had exceptional results stemming from its customers' brand identity. Apple, meanwhile, gives away Apple stickers and prominently puts its logo on every product it makes. However, digital marketing advocacy campaigns are more difficult to engineer. While peer reviews and product-user ratings are both the most effective and simplest forms of company and product advocacy, there are alternatives. Social media, for instance, has become the best customer product advocacy platform available right now. In addition to allowing for peer reviews and product ratings, social media platforms like Facebook, Twitter and Pinterest give customers and potential customers the tools to discuss everything from products and services to a company's customer service department. Customers who frequent the social media platforms of companies begin to develop brand identity and can often become a company's biggest set of advocates. But companies that do not provide a social media platform or outlet for their customers force advocates to seek other means of reviewing products or rating a company. Typically, it is not consumer advocates who are going to make an effort to review or rate. Instead, people who are unsatisfied will take the time to find a means of sharing critiques and comments. Though far more difficult to produce, backlinks, retweets and Facebook likes often require a third party that takes initiative. Additionally, responses to a company's website and social media content can produce some of the highest ROI with respect to an advocacy campaign. 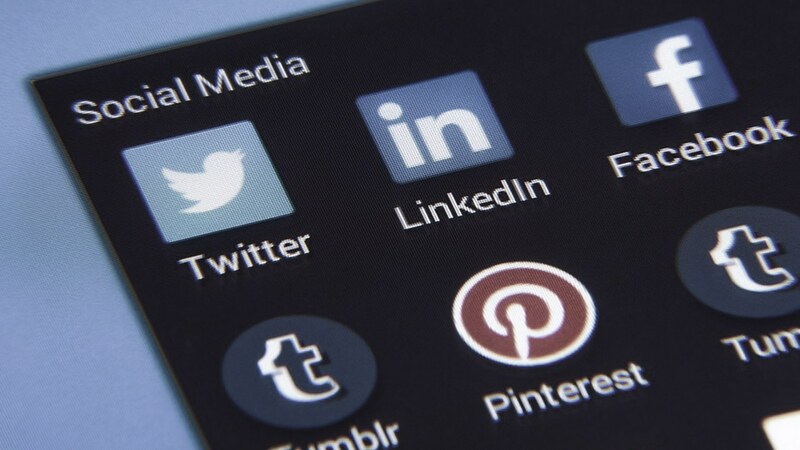 While other social media actions require that potential customers visit the company's website or follow it on social media, backlinks, retweets and Facebook likes reach out to them. Advocacy campaigns are not simple in the digital marketing realm, but the ROI benefits can be exceptional.